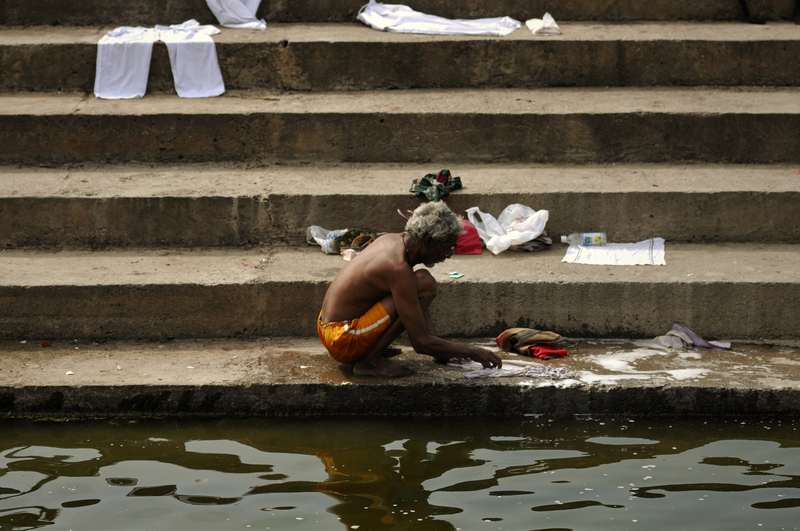 Indian man washing clothes submitted to ‘Reflection’ on National Geographic. Kristian Bertel has contributed to the National Geographic Your Shot photo community with an assignment called ‘Reflection‘. For this photography assignment curated by Monica C. Corcoran director at National Geographic Your Shot like us to capture a photo of reflection. Reflection is a powerful and complex thing. In a dictionary, you will find many definitions for it, some with multiple parts, helping to show just how layered the concept is. It can be an image reproduced in a mirror, a thought or idea that comes through careful meditation, or one of the many other definitions. And as such, National Geographic like to hear from each of us in our caption: How does the reflection in your photo make you feel? What memory does it spark? What statement does it make? What were you thinking when you shot the frame? Not only must your photo have a reflection in it, but your caption must also be reflective in some way. Nat Geo is not looking for lots of words, a simple sentence or two will do. What the assigmnet is about is for us to think about our caption and make it count. And we should as National Geographic Your Shot members not forget that the caption is another opportunity for viewers to connect with both the image and the photographer. As Monica is saying it: ”- I’ve always been fascinated by images that aren’t what they seem, photos that make you do a double take. Having a reflection in the frame is an easy way to do just that. Not only can a reflection add visual layers, sometimes it can provide greater depth and or new meaning to your story. Look at the submissions coming in, which ones stand out to you? Now imagine that same photo with the reflection taking up more or less of the frame. How does slightly changing the composition affect how you feel about the photo? Can you see what is causing the reflection? Does it matter? Is it a perfect mirror image or slightly distorted? These are some of the questions you should be asking yourself when trying to capture a reflection. Your decisions on when and how to include it, will greatly impact how the viewer feels and the emotions they are left with”, she says. The photographer chose to submit a photograph of an Indian man washing clothes in Nashik in India, where his reflection can be seen in the water of the Godavari River. The river is sacred to Hindus and has several places on its banks that have been places of pilgrimage for thousands of years. Amongst the huge numbers of people who have bathed in her waters as a rite of cleansing are said to have been the deity Baladeva 5000 years ago and the saint Chaitanya Mahaprabhu 500 years ago. Every twelve years, Pushkaram fair is held on the banks of the river. ”- In terms of length, catchment area and discharge, the Godavari river is the largest in peninsular India and had been dubbed as the ‘Dakshina Ganga’, the South Ganges river. The river has been mentioned in Hindu scriptures since many millennia and continues to harbor and nourish rich cultural heritages. In the past few decades, the river has been abused with relentless construction of barrages and dams”, the photographer Kristian Bertel says.